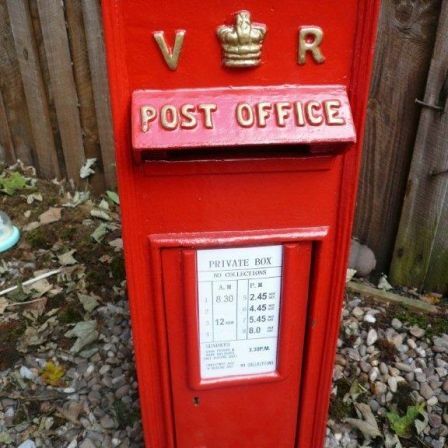 KWC have two vintage postboxes (one white, one red) availabe for hire for weddings or corporate events. Use this fantastic vintage piece to receive wedding cards and envelopes at your reception or during corporate events to encourage people to complete their feedback forms and return for analysis. Contact Megan Wilson at the centre for information on hire costs, to make a booking or for general information. Bespoke 'collection' signs are included to personalise your event. Click the link to our Deja Amie website for easy pay arrangements. Post box hire is for 24 hours and can be collected 24 hours before the date of the event and must be returned within period. A returnable deposit is required. The box can be delivered and collected for an additional fee.